Police arrested Aaron Trejo, a 16-year-old football player at Mishawaka High School, on Sunday after the body of Breana Rouhselang, a 17-year-old cheerleader at the same school, was discovered in a dumpster behind a restaurant near both of their homes, according to court filings. The county prosecutor's office said the boy was being held on a preliminary murder charge and that formal charges were expected Monday. 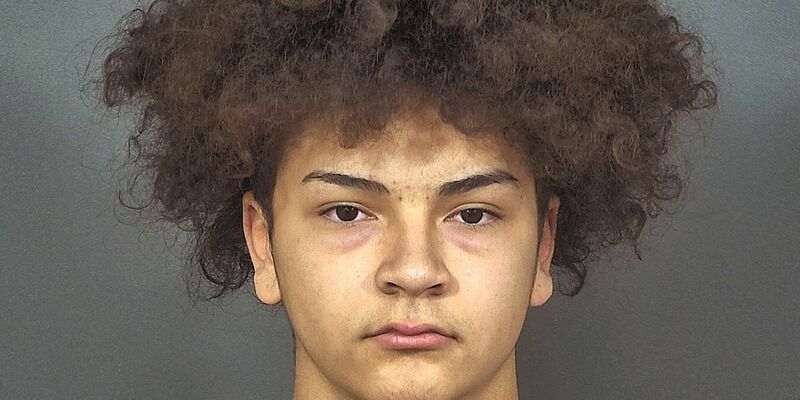 Trejo, who initially denied involvement in Rouhselang's disappearance, later confessed to killing the girl because she had not told him about the pregnancy until it was too late to abort the baby, a South Bend police detective said in court documents. On Saturday night, Rouhselang had reportedly told her mother she was going to meet Trejo behind a restaurant near her mother's house at around 11 p.m. He told investigators he brought the knife and garbage bag from home and said he "had been planning and thinking about killing Breana and the baby for about a week", CBS affiliate WSBT reports. Police did not specify what Trejo and Rouhselang's relationship was. Rouhselang was a cheerleader and softball player at Mishawaka High School. A 16-year-old teen has been arrested in the killing of a 17-year-old pregnant schoolmate whose body was found in an IL restaurant dumpster. Rouhselang's stepmother created a GoFundMe page to help cover funeral expenses. The suspect was arrested on Sunday afternoon, hours after the victim's body was located in a dumpster outside South Bend, Indiana, local media reported. When police arrived at the 400 block of Battell Street around 4:30 a.m. Sunday, they found evidence of a violent crime before ultimately discovering Rouhselang's body in the dumpster. The St. Joseph County Metro Homicide Unit investigated the murder. He then admitted to stabbing her in her chest with a knife he took from his home, believing it would kill her quickly. The documents state the Trejo told police: "I took action". She was 6 months pregnant. An autopsy found that Rouhselang died from multiple stab wounds, and that a scarf she had been wearing at the time was tied so tightly that she was being strangled before she died, according to the affidavit. "They do know each other through the high school". There will be grief counselors available at Mishawaka High School first thing in the morning and throughout the day. 16-year-old Aaron Trejo has since been charged with her murdr. "Our thoughts and prayers are with the family members and friends who have been affected by this great loss", the statement said. The game looks wonderful , and we get a feel that it is BioShock-esque retro-futuristic RPG or Fallout RPG set in space. Earlier today, Obsidian Entertainment sent Game Informer a long, 15-minute gameplay video, and it is quite a doozy. When asked about the front runners to replace Mrs May, he said: "I really haven't. you know the section of the party I'm from". Speaking outside her Downing Street residence, May said she would fight for her job with everything she has got. They are concerned that she is in a relationship with a man who is registered as a sexual offender in NY state. Nicki Minaj has been shamelessly flaunting her new boyfriend, who turns out to be not so new after all. But the shadow Brexit minister, Jenny Chapman, indicated that the no-confidence vote could take place by the end of next week. He said there was "no doubt about her commitment to parliamentary accountability, whatever the cost to her in terms of time". When things are going well offensively and with special teams, Zimmer appears to be a flawless fit for his current position. In the end, Zimmer shoulders responsibility for the way things played out with his third offensive coordinator since 2016. "This symbolizes the courage and patriotism of the soldiers whose acts we would like to perpetuate with these bells", he said. The Americans retaliated by burning the town and killing all male Filipinos aged at least 10 years old. A day before the results were due in fact, the central bank governor Urjit Patel, unexpectedly resigned. Prior to the Tuesday elections, Congress had been suffering defeat after defeat since 2014. As far as the specifications are concerned, the McLaren edition gets 10GB of RAM as well as new Warp Charge 30 charging adapter. The British auto manufacturer is known for its high-performance cars, and unique design - especially its use of Papaya Orange. To be honest, we're still not sure how he managed to complete all 12 rounds after this incredible 11th from the Ukrainian, but here we go. Muñiz attended every day of the proceedings and said the trial helped her "pull the shattered pieces of that day together". Antony also referenced a text message sent by Fields the day before the rally after his mother told him to be careful. Barclay said Britain would enter "uncharted waters" if it loses the vote, but May could stay on as prime minister. Former Foreign Secretary Boris Johnson has odds of 8/1 following his repeated public bashing of Mrs May's plans. Marine Osprey aircraft was wrecked during a nighttime air-to-air refueling exercise in the southern Japan prefecture of Okinawa. A conclusion has not yet been reached on the details of the situation, according to the US 3rd Marine Expeditionary Force. The 33-year-old former Real Madrid and Manchester United winger captioned the photo " parabéns ", Portuguese for "congratulations". Jonas and numerous Bollywood stars, Hillary Clinton and Arianna Huffington also landed spots on the guest list, BBC reports . Amid the wedding season, one wedding which everyone has his eyes on is that if Isha Ambani . By killing enemies or looting, you get cash and can spend it on equipment to be airdropped via drone to your location. There are also optional mission objectives that rescuing hostages, or blowing up safes that can earn extra cash.